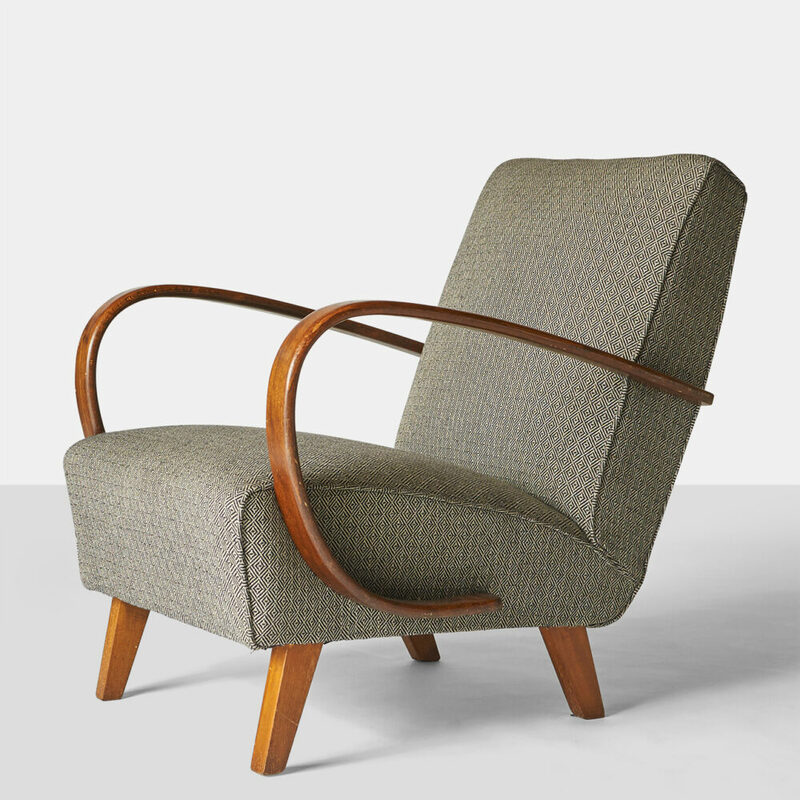 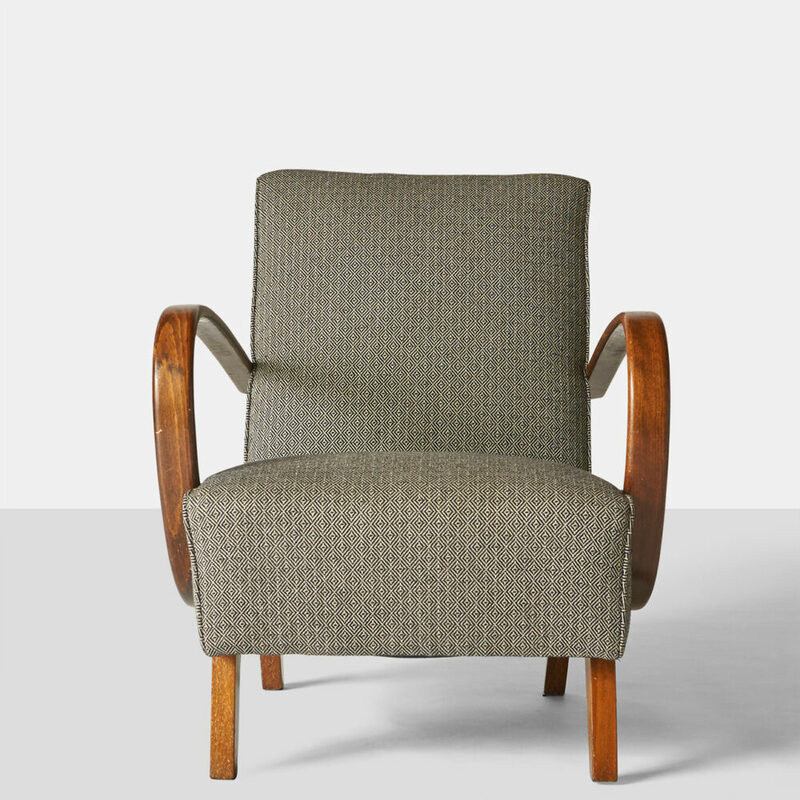 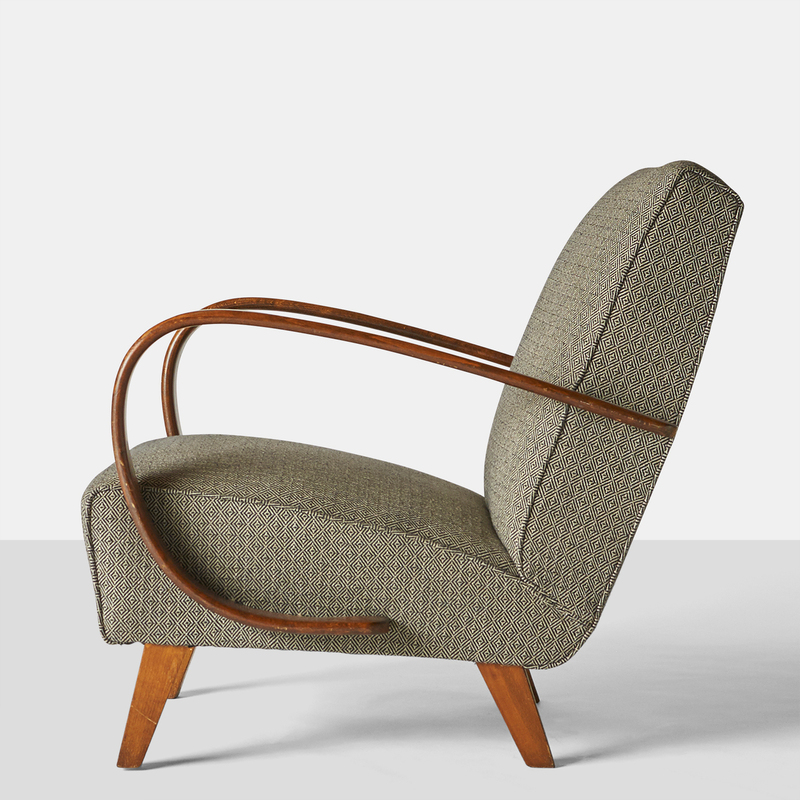 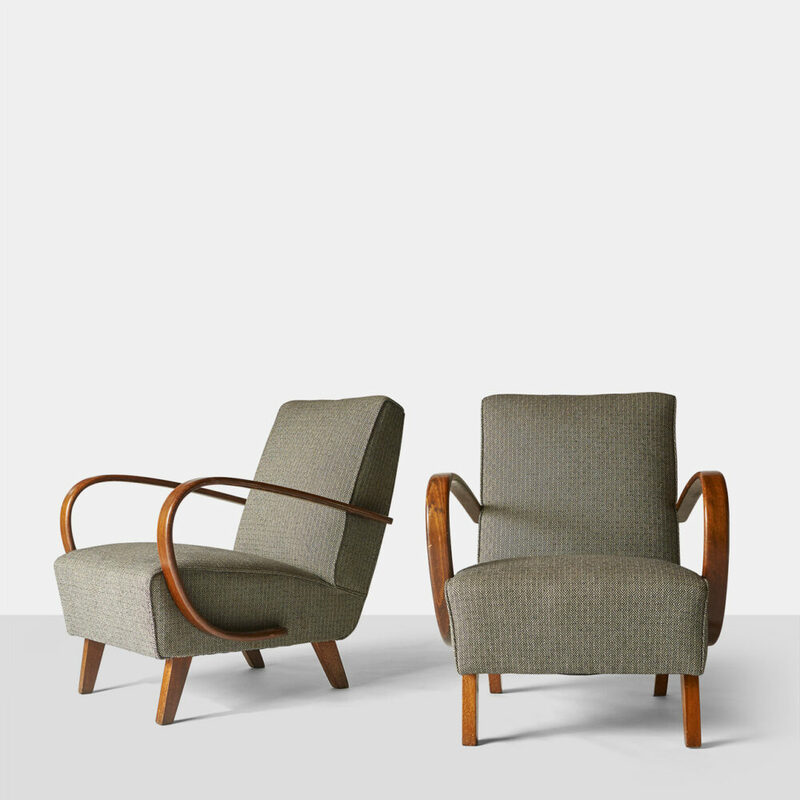 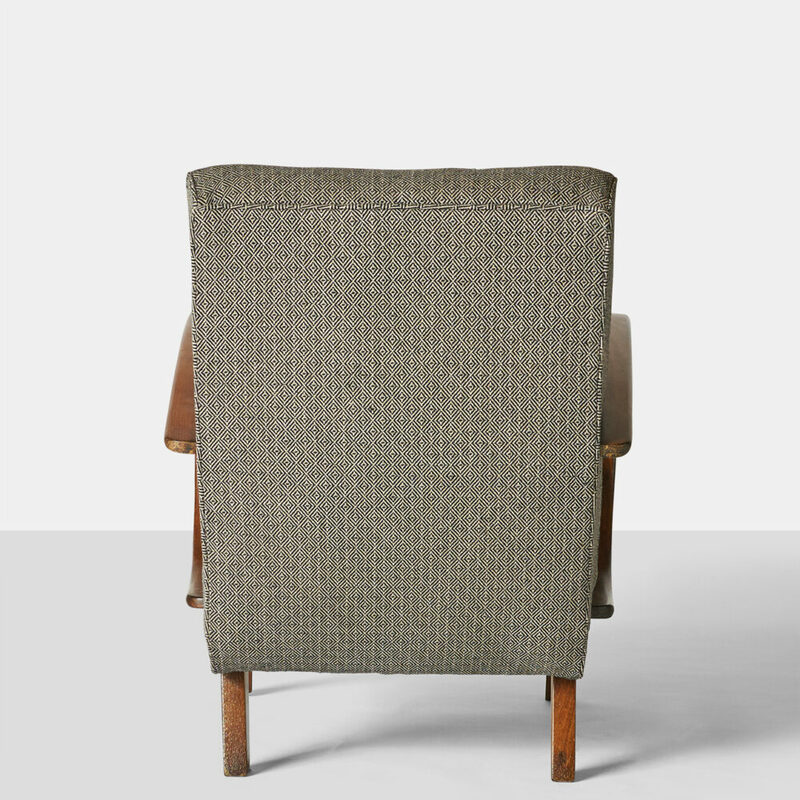 A pair of lounge chairs by Jindrich Halabala for Zavody – Brno. 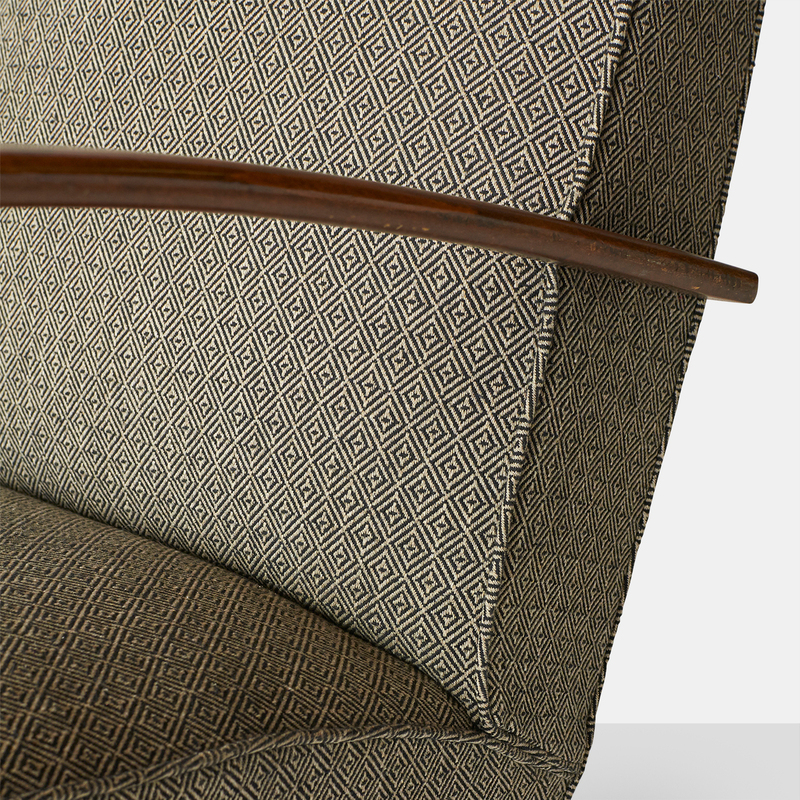 Lacquered beech arms swoop up from the lower frame to create a very comfortable seat. Restored in a diamond pattern wool flannel.